For those who are intrigued by the idea of creating their own craft beer but are intimidated by the time and labour involved, Artbrew might be the way to go. With still more than 2 weeks left until its funding deadline, the Kickstarter campaign has nearly quadrupled its monetary goal of $100,000, proving that this innovative new appliance is drawing a lot of attention. Artbrew is designed for ease of use. Unlike other home brewing products, it integrates the brewing tank and fermentation tank into one unit. Essentially, you insert your raw materials (water, malt, hops), plug in your desired settings using the machine’s LCD screen, and wait for the beer to be ready. 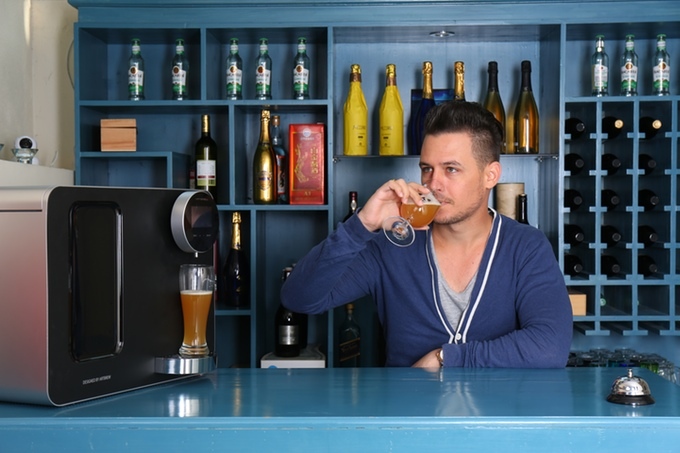 The machine comes with a library of built-in recipes, ensuring that you’ll make a perfect beer from the very start, even if you are just figuring out the logistics of brewing. Simply follow the instructions and you’ll be able to artfully craft pilsners, lagers, stouts, and even fruit beers. Anyone up for some blueberry beer? The Artbrew machine is wifi enabled and comes with a handy phone app that allows you to track the progress of your beer from anywhere. 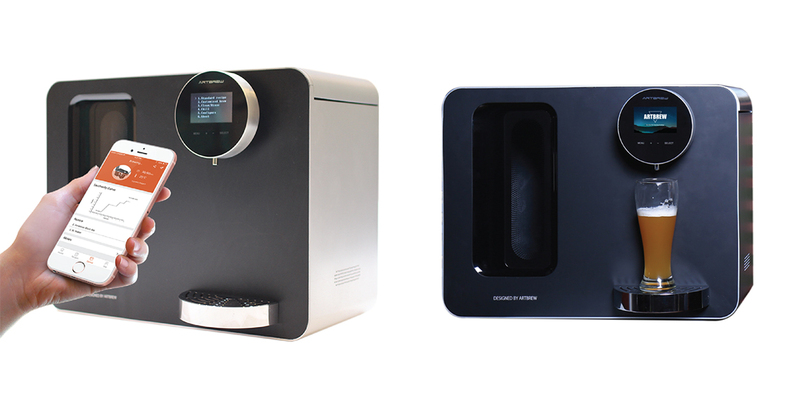 According to the Kickstarter page, more advanced users can use the app to adjust brewing times and temperatures during the brewing process itself. Obviously this is the sort of technology that will appeal to beginners and experienced brewers alike.